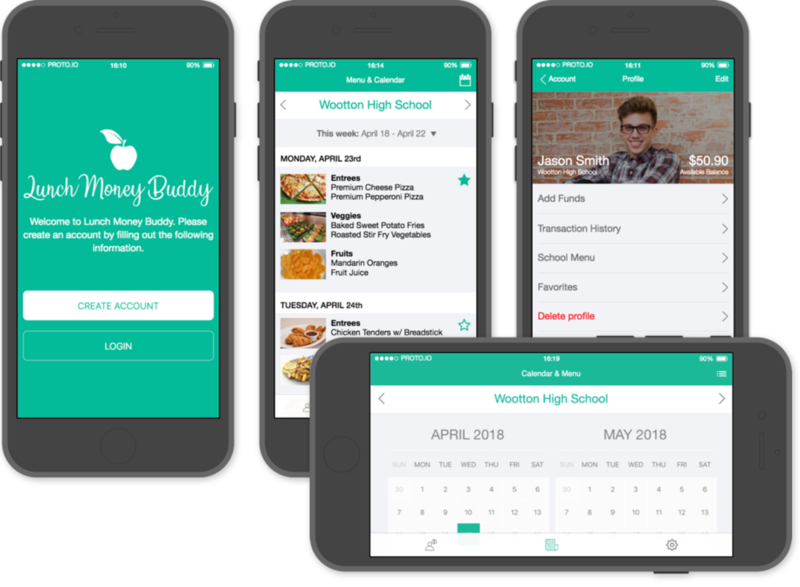 When the parent signs up, they should see their school-attending child or children in the app. Add one or more payment methods. 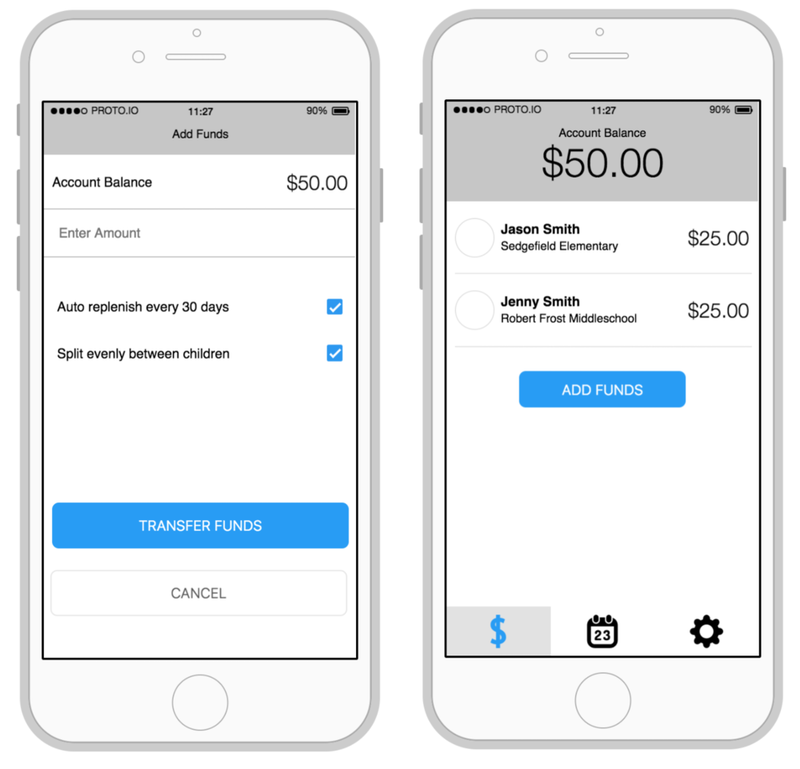 Select a primary payment method. Select whether they’d like balance auto-replenishment or not. The beginning of the design process included gathering existing requirement documents, persona’s and stakeholder interviews. After collecting all the relevant documentation I created a site map and some preliminary sketches. 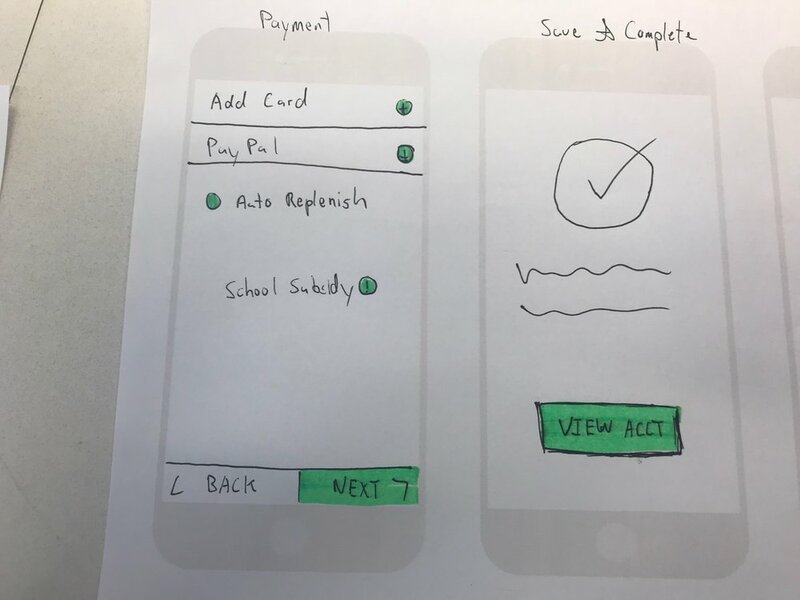 After receiving feedback from these rough sketches I began the transition to a low fidelity digital format, to a higher fidelity interactive prototype. User opens the app for the first time and is taken through a step-by-step enrollment process. 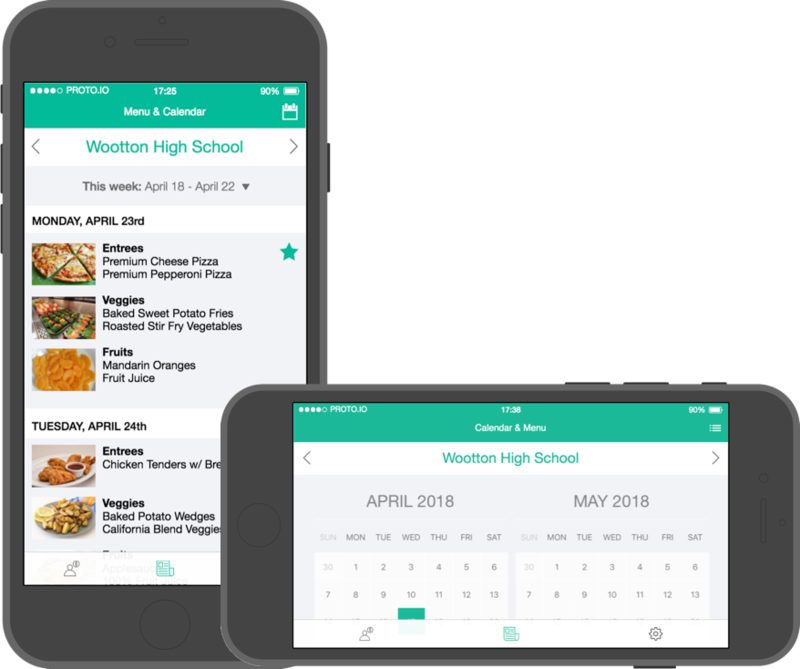 The first step will be email and password creation, the second will be looking up the schools access code, the third step will be adding children to your account. 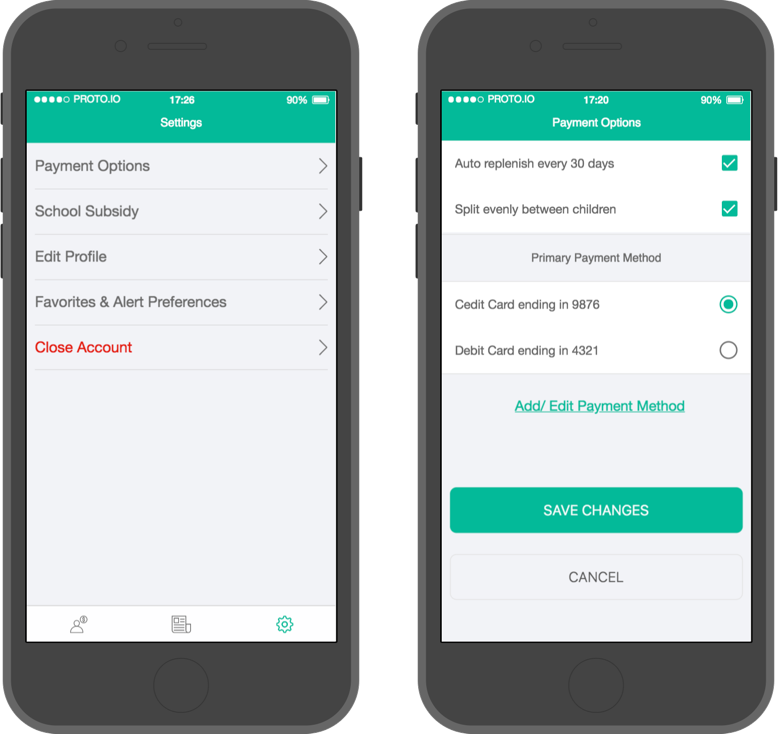 The fourth step is where the user will add their payment information. 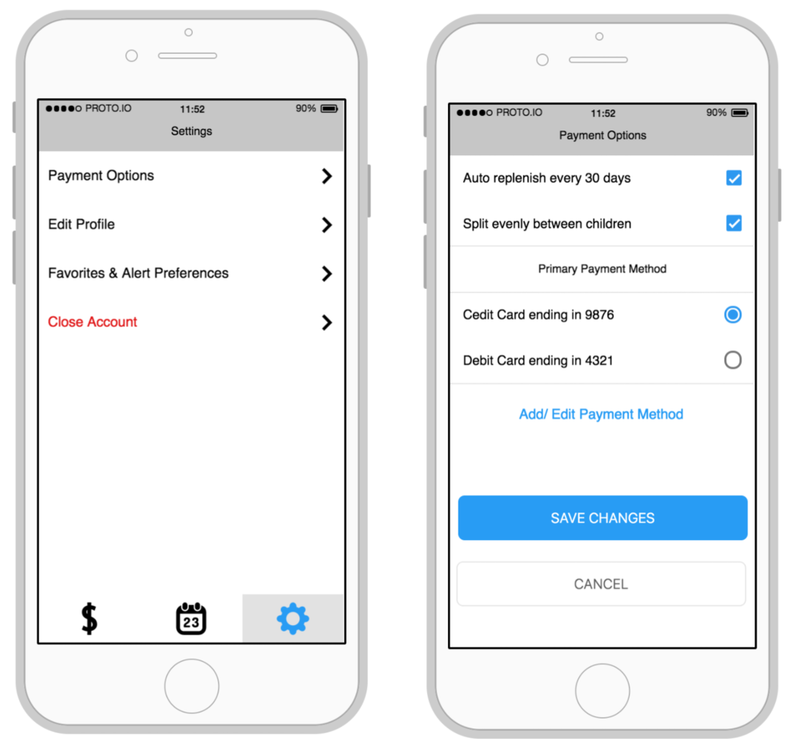 The user can pay with a credit or debit card or by PayPal. There is also an option to look add a school subsidy. 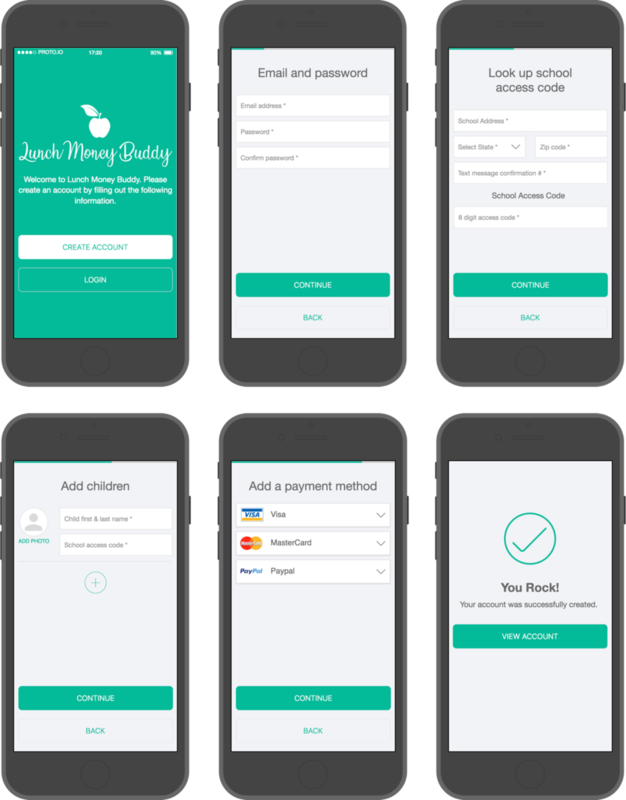 The user can add funds to each child associated with their account, or simply add funds and have it evenly split between their children. There will also be an auto replenish feature. User navigates to the settings “tab” selects payment options from the lost of settings and makes desired changes. Selects finish and is taken back to the settings page. The My Account and Menu & Calendar pages could benefit from a landscape view. 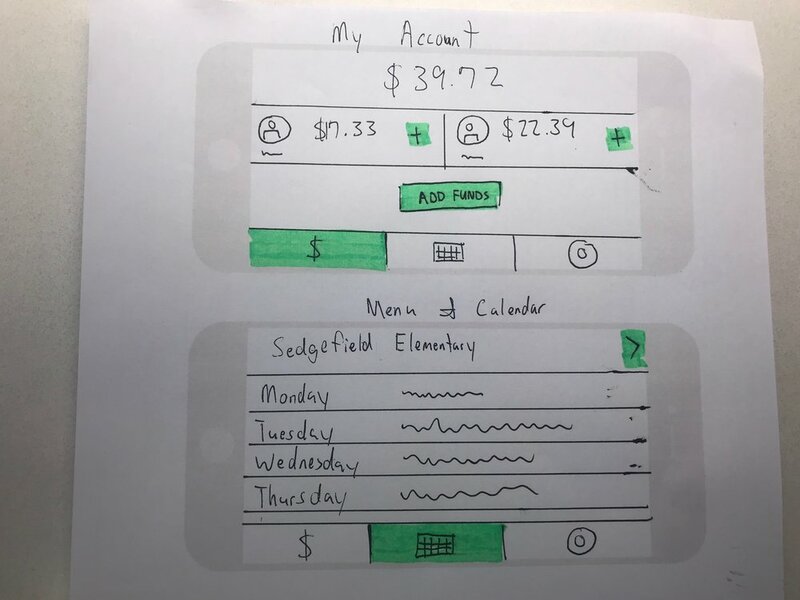 The children in the account would align side by side and the menu items would have more horizontal space for labels. Menu would also be scrollable to show all of the content. 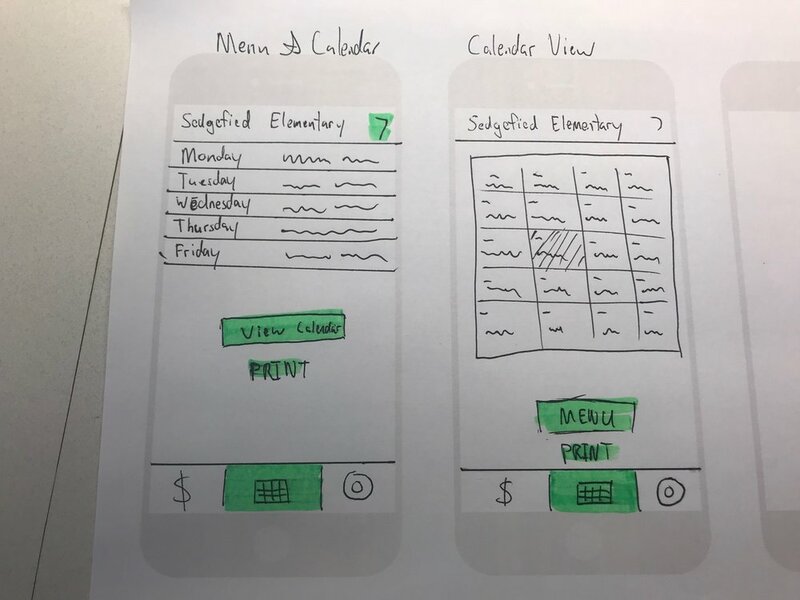 There are a lot of design decisions that go into even a simple app like this one. Learning a new prototyping tool (proto.io) as a design didn’t make things any easier. I met with teachers to find out how this app could be used. I found that using real content as placeholders makes a big difference when you are designing. For example, the school menu contains an entrée, veggies, and fruits, and multiple options within those categories. This caused me to completely re-think the menu and calendar screens.